It’s great to see the mainstream catching up to what biological dentistry has long held: Oral conditions can have systemic effects – and vice versa. In fact, Dr. Reinhold Voll – one of the pioneers on the way to biological dentistry – taught that up to 90% of all systemic health problems may actually start in or be influenced by the conditions in the mouth. A while back, we looked at some of the latest research on the link between gum disease and chronic kidney disease. Since then, new studies have emerged, highlighting other oral-systemic connections. Data from more than 150 patients with one of these conditions was compared to that from a control group of 76 cognitively healthy patients. Each had an oral exam and a panoramic x-ray taken. Those with cognitive impairment also tended to exhibit worse oral health overall, including the kind of bone loss that indicates advanced gum disease – even after the researchers adjusted for confounding factors. These findings contribute supporting evidence for a relationship among dental disease, cognitive impairment, and dementia. Meantime, a new study in Hypertension looked at the relationship between oral health and blood pressure control. Those with gum disease had average blood pressure readings 2 to 3 mmHg (milligrams of mercury) higher than those without gum disease and were less likely to have their pressure under control with medication. And the more severe the gum disease, the more their average systolic blood pressure increased. 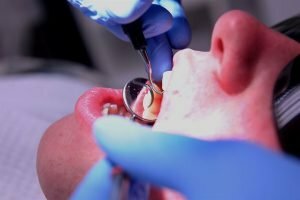 Periodontal treatment may also help patients with type 2 diabetes control their glucose better, as a recent study in the Lancet Diabetes and Endocrinology has confirmed. More than 250 patients with active periodontitis and poorly-controlled diabetes participated in the trial conducted by researchers from University College London. Some received standard treatment for gum disease, while others received more intensive therapy. Lowering blood glucose level by 0.6% is the equivalent of prescribing a patient an additional, second blood sugar lowering drug. While more research continues to be done to flesh out the findings of studies like these three, the literature continues to suggest the virtue in taking a proactive approach to your oral health. Basic habits like avoiding sugars and hyperprocessed food, practicing good home hygiene, managing stress, getting plenty of sleep, staying hydrated, and making physical activity on a regular basis benefit your mouth and body alike.